Medial meniscus posterior root tear (MMPRT) leads to a rapid degradation of articular cartilage. In the treatment of MMPRT, transtibial pullout repair demonstrates a high clinical survival rate. However, there is no reliable method to evaluate the meniscal healing after surgery. We propose an arthroscopic scoring system for evaluating the meniscal healing status. The aim of this study was to investigate the correlations between second-look arthroscopic scores and clinical outcomes after transtibial pullout repair. Twenty patients who had MMPRTs underwent transtibial pullout repairs. 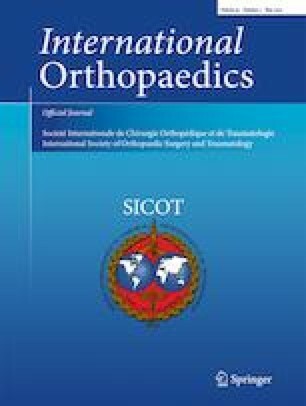 Clinical outcomes were assessed using the Japanese Knee Injury and Osteoarthritis Outcome Score (KOOS) and pain score evaluated by visual analogue scale at preoperatively and 1 year postoperatively. The healing status of repaired MM was assessed at one year post-operatively using a semi-quantitative arthroscopic scoring system (total, 10 points) composed of three evaluation criteria: (i) anteroposterior width of bridging tissues, (ii) stability of the MM posterior root, and (iii) synovial coverage of the sutures. Linear regression analysis was used to assess the correlation between second-look arthroscopic scores and clinical outcomes. Transtibial pullout repairs of MMPRTs significantly improved clinical evaluation scores at one year post-operatively. A median of second-look arthroscopic scores was 6.5 (5.75–8). A good correlation was observed between the arthroscopic score and KOOS quality of life (QOL) subscale. A moderate negative correlation between the arthroscopic score and pain score was observed. This study demonstrated that our semi-quantitative scoring system of meniscal healing correlated with the KOOS QOL subscale following MMPRT transtibial pullout repair. Our results suggest that the second-look arthroscopic score using this system may be a useful scale to determine and compare the healing status of the MM posterior root. The authors thank Drs. Hiroto Inoue, Tomohito Hino, Yusuke Kamatsuki, Yoshiki Okazaki, Shin Masuda, and Yuki Okazaki for their clinical supports. No funding sources were provided for this study.